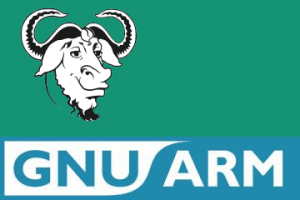 GNUDE (GNU Development Einvironment) is a open source solution for programming your hardware. It is a complete suite of GNU C/C++ and other Cross Compilers, Insight/GDB Debugger, and additional utilities hosted on Windows NT/2K/XP for embedded ARM CPU applications development. This solution is availabe free of charge. Information about GNUDE can be found on the Internet at this address: gnude.sourceforge.net. A special package of GNUDE is included when purchasing a TSM-ARMCPU so you are ready to start your own projects. The GNU-Library can only be used with some limitations, functions like fread,fwrite,malloc, etc. can not be used. But they are not really necessery on mCAT anyway. Therefor we can recommend GNUDE as development environment. Alternatively ther C-Cross-Compiler by Metaware can be used. This Compiler fits perfectely into the Metaware tool-chain. It is therefor highly recommended for developers working with MetaDeveloperTM. A 30 test version is available at Metaware.